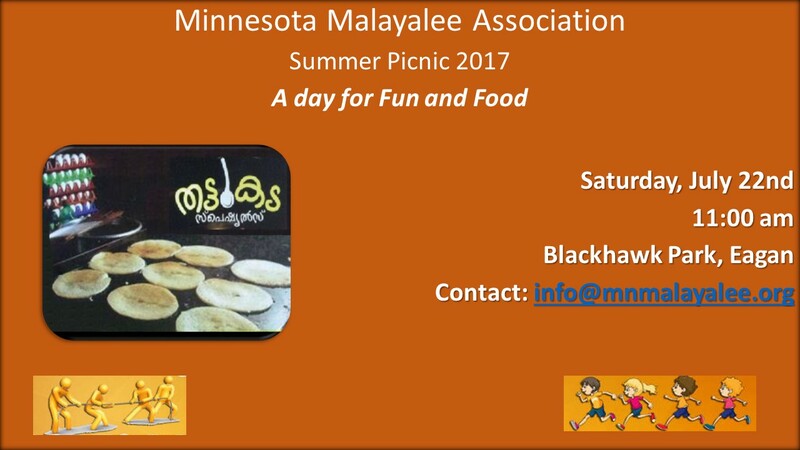 MMA welcomes all to the MMA Picnic 2017! Enjoy a great community time and food! This year we will have Thattukada style food and DJ performance besides regular grilling. *Alcohol is not allowed for picnic as city of Eagan does not allow alcohol at their parks.